We are excited to serve our Brazilian customers and local Colorado community. We have been serving this community for over 7 years in Colorado. Our goal is to bring a little bit of Brazil to all food lovers living in Colorado. We have a variety of Brazilian products in our market, and an authentic and delicious Brazilian menu in our restaurant. 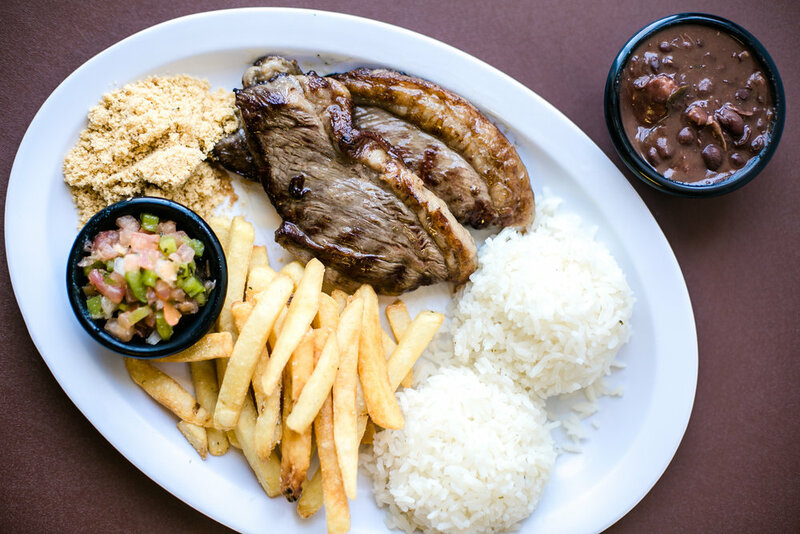 We feature staple dishes from Brazil, like the national dish, "Feijoada", and our famous "pao de queijo", which are gluten free, and a small bite of heaven. Little Brazil is committed to serving delicious and authentic Brazilian food, and to provide great customer service. We will do everything we can to meet your expectations and have the products you need available to you. We thank you for considering shopping with us. If you are a current customer, thank you for being loyal during the past years. We want to continue delivering the best products and service possible, with our "Jeitinho Brasileiro". Our National Dish features 4 different meats, and it is simply delicious! Sweet and savory Brazilian version of an "empanada"
These tradicional gluten free rolls are a bite of heaven! Our most popular sirloin cut. It is juicy and tender. Sweet chocolate caramel bites, traditionally served at birthday parties, but at Little Brazil you can have them everyday! Interview with Kallen Marques, owner.